With the 0.9d version I have upgraded the possession spell. 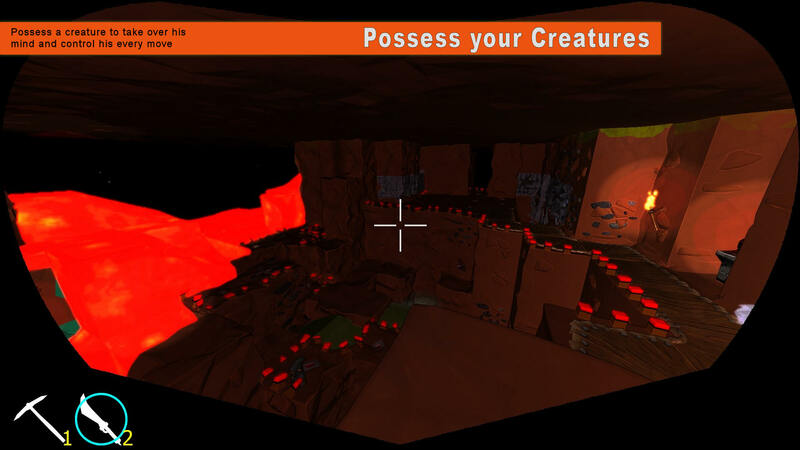 Now the player are able to dig out rock if he possesses an Imp or an Orc, and he will be able to attack other creatures when possessing a creature that can fight. Another fun feature is that if the player possess a Impanzee he will be able to throw rocks at the enemy. there should still be a 3rd option "observe". I possessed an imp to see where it was travelling to and discovered i can't do that anymore.. i had to choose for them.. and i was just looking to see life as an imp thru its eyes rather take control of its actions. Or maybe the default is observe mode until you choose one of the options, but then again you'd need a revert to observe mode button. There was an observe option before, but I can't remember if there was a reason it was removed. I wouldn't mind seeing it come back either. Current time: 22-04-2019, 12:01 PM Powered By MyBB, © 2002-2019 MyBB Group.